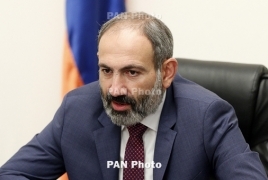 Prime Minister Nikol Pashinyan said in his speech at the Parliamentary Assembly of the Council of Europe that PACE platforms are sometimes used to incite war. Three years ago Azerbaijan launched a large-scale military offensive across the entire line of contact with Nagorno Karabakh (Artsakh). The clashes which began in the wee hours of April 2 in 2016, lasted four days and were later dubbed the Four-Day War or the April War. “PACE discussions in January 2016 became a prelude to the four-day war in April and paved the way for Azerbaijan’s attacks,” Pashinyan said. The head of the Armenian government reminded that only the co-chairs of the OSCE Minsk Group are mandated to mediate negotiations between the parties to the conflict. “This doesn’t mean the Council of Europe has nothing to do in the conflict zone,” Pashinyan said. “This organization pays zero attention to the support of NGOs in Nagorno Karabakh, does not take any steps to strengthen democratic institutions and support the civil society. “If Nagorno Karabakh is not internationally recognizes, does that call its people into question? Is a document, and not the person a priority for PACE, one of the world's leading human rights pioneers? I would like to call on all the organizations dealing with human rights, democratic institutions and freedom of speech, to help the Karabakh people improve their laws and institutions, to strengthen human rights."